A-Trak's Big Breaks: Kanye West And The DMC World DJ Championships In Scratching It was happenstance that brought the Canadian DJ and Kanye West together. 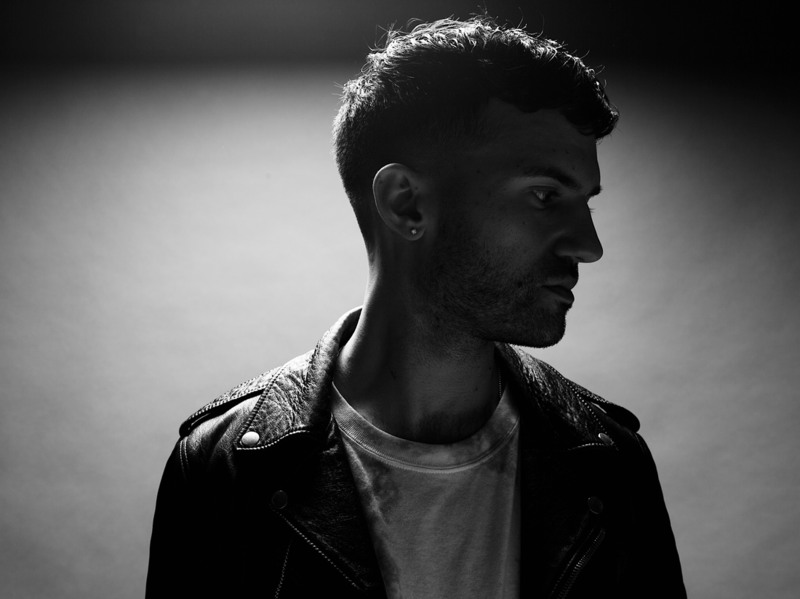 But A-Trak — Alain Macklovitch — first made his name by winning an international scratching competition, when he was just 15. "There had never even been a Canadian DJ that made it to the finals, period," says Alain Macklovitch, aka A-Trak. "And I came in and I won." At first glance, it seems easy to spot the point at which Alain Macklovitch's career leapt into another tier of international stardom. The Canadian DJ — who goes by the name A-Trak onstage — recalls an afternoon in London, where he'd been booked to play a show at a tiny record shop in 2004. It turns out he wasn't the only one performing there that day. So was another young artist by the name of John Legend — "and Kanye West came to support John Legend," Macklovitch says. West had been in London for a promotional trip for his record label, right around the time his first album, College Dropout, dropped in stores. "People who paid attention knew that Kanye was really going to revolutionize hip-hop. And I was one of those people," Macklovitch says. "I was really excited about him." After West caught Macklovitch's show — purely by coincidence — that excitement quickly became mutual. "When he saw me, that light bulb went off above his head," Macklovitch recalls, "and he said, 'I found my DJ! That guy's going to be my DJ!' "
And that was it all it took. Macklovitch says he toured with West for four years, brewing a collaboration that extended beyond the stage and into the studio — for some of West's most popular tracks, like "Gold Digger." You can catch Macklovich's work most obviously in the closing seconds of the song. But that's not the only moment Macklovitch marks as his big break. "My career spans about 20 years at this point. And so, it feels like there's distinct chapters to it — and each chapter has a kind of break," he says. Rewind that career back to its origins, and you'll find a preteen kid who didn't know much about record-scratching — manipulating records to create rhythms and melodies from the sounds of scratching. What he did know, he knew only from clips in hip-hop music videos or random scenes in The Fresh Prince of Bel-Air. But he did have his father's record player at home — and he decided one day to take it for a spin. Surprisingly, he didn't break the thing; his first attempts actually "sounded kind of all right," he says. "And I had some of my dad's vinyl and I had my dad's double LP for Stevie Wonder's Songs in the Key of Life," Macklovitch recalls. "Once I started taking it seriously, which was pretty quickly, I would just come home and practice for hours every day. It gets pretty technical, and it's similar to any other musical instrument, except that scratching would often be self-taught." So, he dug into rap records that featured scratching, playing scratch solos over and over just to figure out the tricks and techniques behind them. Within two years, in 1997, he entered the DMC World DJ Championships, the premier international DJ competition, and headed to Italy to perform in the finals. He was just 15 years old. "I remember very well I had to miss class. I had to speak to my teachers and say I was going to Italy for a scratching competition," he laughs, "which went over people's heads. They looked at me puzzled, but they allowed me to miss a few days of school." Soon, he was on his way to Rimini, Italy — with his mom, turn tables in hand. "There had never even been a Canadian DJ that made it to the finals, period. And I came in and I won." And that, Macklovitch says, was the start of it all, the first of a string of big breaks that have led him to this moment. "There was demands for me to play in different countries. I got booked to play in Korea two months later. That was my first international gig," he says. "Everything took off from there."